Regardless of whether you are looking to buy or sell a home, you will have to ensure that you know what its current worth is. In order to know the value of the said home, an inspection will be needed and an evaluation carried out. This is what is commonly referred to as an appraisal in real estate. If you will be taking a mortgage to purchase a property, then an appraisal will be mandatory. An appraisal can only legally be carried out by a real estate appraiser who is qualified and licensed to do so. What Are Appraisals Based On? In order to give his professional opinion on the value of the home you are purchasing, the appraiser will have to first carry out a thorough inspection of it. He or she will inspect every inch of the home, both the interior and exterior. The appraiser will review the land that the property is on, the buildings on it, as well as the fixtures that come with the home. Additionally, the appraiser will estimate just how big the buildings and the land are, in terms of square footage. He or she will look at the construction quality of the home and other buildings on the property, then basing his opinion on current local market conditions, will estimate how much the property is worth. The appraiser then goes on to write a report and to issue the same. Even though there are many real estate appraisers Vancouver, not all of them are good at what they do. A good appraiser is not one who is hired as an advocate. He or she is mean to give an opinion that is unbiased regardless of who is paying them to do the job. 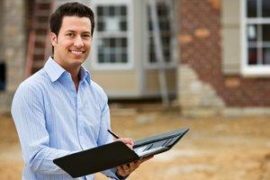 Since there are some appraisers who are better skilled, it is important that you look at the training they received, whether or not they are fully licensed professionals, and how much experience they have doing appraisals. If you find that the appraisal you have been given seems to low, it is quite in order to ask for another appraisal. Usually this is done by a different appraiser who has no information about the previous appraisal. Once you have both appraisals in your hands, compare both reports and see if they agree. If you find that the second appraisal is more favourable, then it is possible to convince your lender to use that one instead. Using the second appraisal it may also be possible to renegotiate the terms of sale for the property you are considering. You can either lower the sale price, or you may consider giving more down payments in order to reduce the loan amount, so that it is less than what the appraiser has valued the home at.